Bayliner is a boat company that know exactly what it takes to get families and first boaters on the water. Their products offer an unparalleled value to consumers, and their price point make it possilble for nearly everyone to own a boat. Consider, for instance, the 16' Bayliner Element which comes standard with trailer and can be purchased for around $17,000- including necessary goodies like a Bimini top. 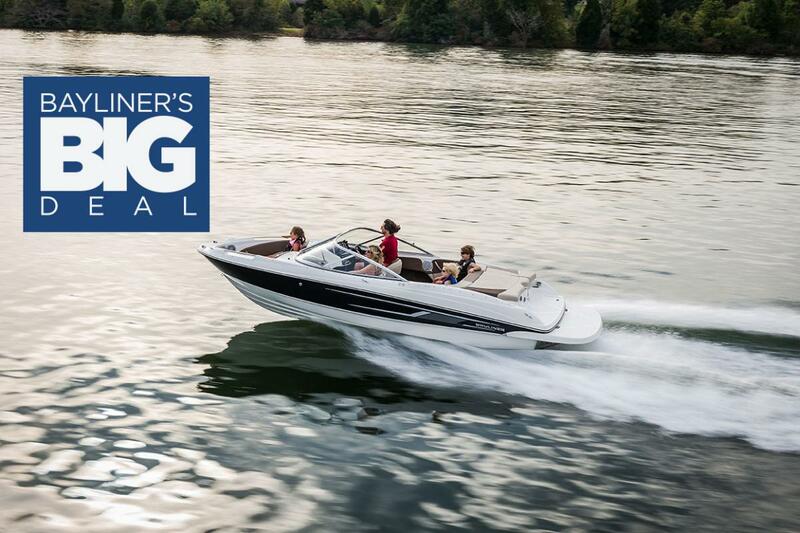 In addition to the already-low pricing on their bowriders and deckboats, Bayliner is now running their Big Deal Sales Event on their most popular models, including the Element XR7. The Big Deal Event consists of cash-back rebates up to $3500 depending on the model. Contact InterMarine for more details and to see the boat you want. Check out our selection of Bayliner Boats to pick your favorite!